At the memorial to the members of Gdud 32 of the Alexandroni Brigade, killed in first battle of Latrun, May 26, 1948. Near Latrun, just southwest of where Road 3 crosses Road 1, a small memorial overlooks a wide valley. The valley looks beautiful and peaceful under the warm late winter sun. The farmland in a dozen shades of green stretches to the Judean mountains where the Latrun Trappist Monastery and the old British Tegart fort can be plainly seen. This is the Ayalon Valley, whose long bloody history belies its pastoral sleepiness. The Ayalon Valley is one of a very few east-west valleys in the region. Because it is wide and flat, in ancient times it linked two major trade routes between Egypt and Mesopotamia. Its flat terrain also made it perfect for war. The Ayalon was where Egyptians fought Canaanites, the sun stood still for Joshua, the Maccabees fought their sixth battle against the Seleucids, the Byzantines fought the Arabs, the Arabs fought the Crusaders, and the British under General Allenby fought the Turks in World War I. 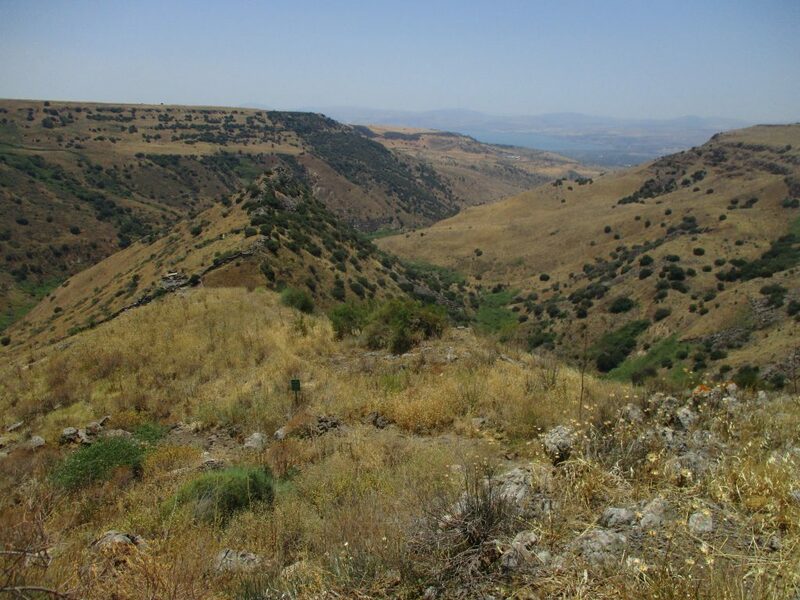 Here is where the nascent State of Israel fought the Jordanian Legion. Whoever held Latrun controlled the Ayalon Valley and the road to Jerusalem. Both sides recognized its crucial geography. The Haganah tried to capture Latrun from the Jordanian Legion, the best trained and equipped army in the Middle East, three times. The first battle is probably the best known. The myth is that Israel sent untrained immigrants, just off the boat from European DP camps, to Latrun to die. The truth is much more complex. New immigrants were given rifles, quickly trained, and sent to join the Haganah. But in the plans for battle, they were placed in the rear. In front of them were better trained fighters, men who had been in battle already. In front of those fighters, was G’dud (battalion) 32 of the Alexandroni Brigade, the best trained most experienced fighters of the Haganah. Leading them was the best, most experienced officer, twenty year old Arik Scheinerman. A large force was assembled to capture the poorly manned fort in the middle of the night, May 26. In war, as in other parts of life, things do not always go according to plan. The intelligence was not current. The Israelis did not know that in the previous few days the Jordanians had reinforced the garrison at Latrun. Instead of a few dozen soldiers, the attackers would face the fire of 2000 better trained better armed soldiers. The other problem was timing. The Israelis wanted to attack at night because they needed to cross the large flat valley directly in front of the fort. To win, they needed the cover of darkness to surprise the defenders. However, instead of starting at 12 AM, they did not move until 4 AM, just before dawn started to light the valley. They had lost the element of surprise. Not unexpectedly, they lost the battle as well. Arik, the twenty year old commander leading the attack, was severely wounded in the abdomen early in the battle. As he lay there in the sun, he was sure he would die, with soldiers dying all around him, gave the order to retreat. For the only time in his career, he ordered that the wounded be left on the field. But one of his men decided to try to pull him to safety. They had to move slowly and carefully; they were under Jordanian fire, and Arab villagers were on the field killing the wounded and stripping them of anything of value. Numerous times during the next few hours, as the soldier slowly pulled the officer towards safety, Arik told him to go, to save himself. The soldier was as stubborn and brave as Arik was. It took hours, but both men made it to safety behind the Israeli lines. Arik’s experience under the guns of Latrun reinforced his conviction never to leave wounded or dead soldiers behind. This has been one of the operating principles of the IDF up to today; they do not leave the wounded to die or be captured. Even dead soldiers are used as bargaining chips by our enemies. Their bodies are held and returned for proper burial only in return for some advantage. In 1986, after Israel released over 1000 convicted terrorists in exchange for the body of a kidnapped soldier, a new protocol was developed. It stipulated that all efforts be made to rescue a kidnapped soldier, even at the risk of endangering his life. Kept secret until 2003, it has come to be known as the “Hannibal Protocol.” Because of events in recent wars against Hamas, the IDF is reconsidering the Hannibal Protocol. Soldiers lives have been lost and many enemy civilians have been killed in IDF efforts to bring home our kidnapped soldiers. Hamas knows Israel will do all it can to get even dead bodies back. During a cease fire in the summer of 2014 war, Lt. Hadar Goldin and two other officers were shot by Hamas gunmen in Rafah, Gaza. Hadar was pulled into a tunnel. One of Hadar’s men continued to follow the trail of blood into the tunnel to try to rescue him. When he realized his efforts were futile, he returned to his unit, bringing with him evidence of Hadar’s death. The IDF never announced what that evidence was, but it was enough to satisfy the stringent requirements of the Rabbinate to declare him dead. Although the Goldin family sat shiva, said Kaddish, and observed the other rituals of mourning, they were not satisfied. Today, over a year and a half after his death, they are still pressuring the government to bring Hadar home for a proper burial. Hamas understands the lengths Israel will go to in order to bring her people home, alive or dead. Israel released over a thousand convicted terrorists to get Gilad Shalit released five years after his capture. Hamas wants a similar payment for Hadar Goldin’s lifeless body. A few weeks later the Haganah became the Israel Defense Force. Arik Scheinerman became Arik Sharon. Known as a daring, clever, and at times insubordinate officer, he rose through the ranks. He eventually served as Chief of Staff and Prime Minister of Israel. Israel attacked it two more times. Both attempts were equally unsuccessful. It remained in Jordanian hands, overlooking the road to Jerusalem. Nonetheless, the siege of Jerusalem needed to be broken. Where Israeli might did not work, Jewish ingenuity did. In the midst of the war, with little heavy equipment, the Hganah built a new road through the impassable mountains. It was completed two days before the first ceasefire on June 9, 1948. Without this road, Jewish Jerusalem would have been choked off by the Jordanian and Egyptian armies, and forced to surrender. The new road, ironically called the “Burma Road” after a British road similarly built during a war, under extreme conditions, supplied Jerusalem for the next five months. Then a good road, properly engineered and built opened. But the Burma Road remains. It is a monument to the hard work and sacrifice that went into the founding of the State. As is the memorial across the Ayalon Valley from Latrun. Next to a pale stone arch that frames the valley battlefield is a stone pillar that lists the names of the members of G’dud 32 who died during the first battle of Latrun. Fifty eight names are listed here. Fifty-eight men from one unit—a shockingly high percentage. Over a thousand men were on the battlefield, and only seventy five were killed. G’dud 32 had been the best soldiers of the Haganah, the most experienced in battle, the bravest. The untrained fighters, the new immigrants, fought behind the Alexandroni and the other trained units and suffered relatively few casualties. G’dud 32 had borne the brunt of the battle, and they suffered accordingly. Latrun would remain in Jordanian hands, overlooking the road to Jerusalem, for the next nineteen years. Yet the siege had been broken. New roads would be built, and Jerusalem would survive.